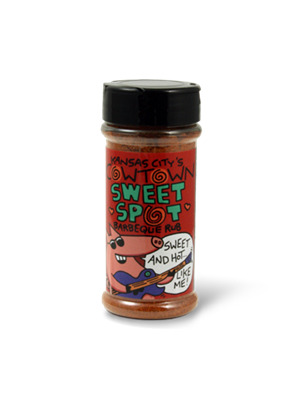 Cowtown Sweet Spot Rub is perfect for lovers of sweet and hot barbeque. Rub this potion on your wings of desire, passionate pork, frisky fish and randy ribs! 7oz. Salt, sugar, paprika, worcestershire sauce powder, monosodium glutamate, spices, dehydrated garlic, malic acid, and not more than 2% calcium stearate added to prevent caking.